If there is ever a moment for fanzines to shine, the recounting of a major football event is it. 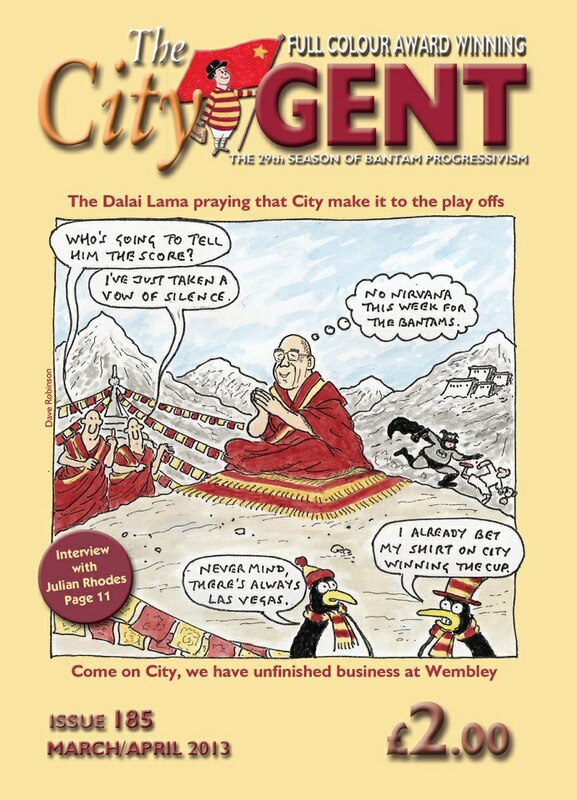 The new edition of the City Gent – which goes on sale at Valley Parade today – does a fantastic job of reflecting Bradford City’s momentous day at Wembley stadium last month. Supporters have queued up to write interesting articles about their experience of the League Cup Final. Highlights include Sophie Cunliffe’s account of watching the game with her family, Dave Welbourne comparing ’13 with ’96, Mark Neale assessing the legacy for the club, Chad Soucy travelling over from America to watch the match and James Podlewski spending the day being Capital One’s ‘super fan’. 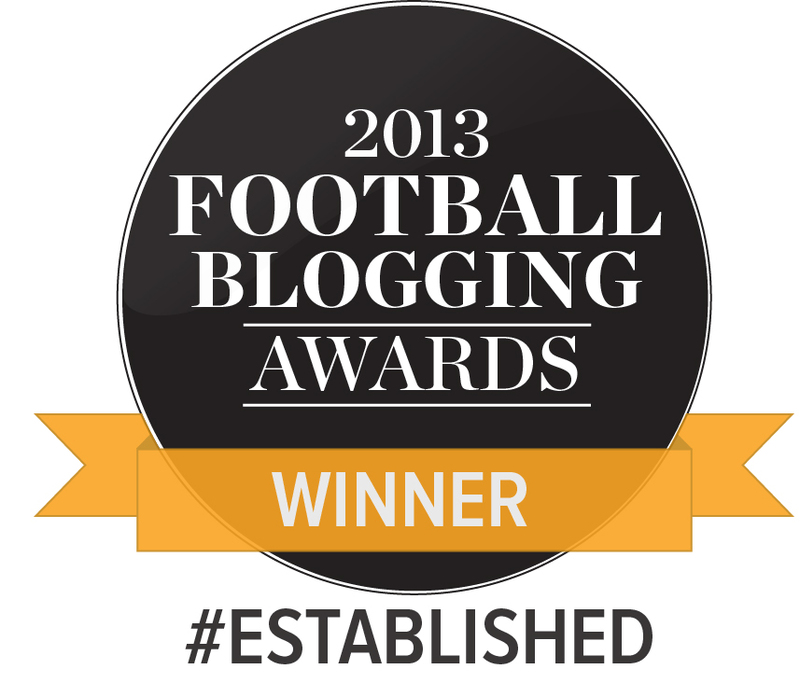 Width of a Post has contributed an article on writing about the cup run, too. For the first time in City Gent’s long and distinguished history, the fanzine is printed in full colour; which does full justice to the range of outstanding photographs taken by Emily Harrison that feature throughout. There’s also an extended interview with Julian Rhodes by former BBC Radio Leeds commentator Derm Tanner, with some revealing insights. Even if the disappointment of City getting thrashed by Swansea – and negative impact on league form – leaves you feeling too upset to want to read about Sunday 24 February, 2013, buy it. Buy it, don’t read it, but stick it away somewhere safe. Because in a few years’ time, when the memories of the cup run start to fade and the bitterness over recent results is long since forgotten, you’ll be grateful for every memento you kept of City’s glorious achievement – and you’ll regret it if you haven’t bought City Gent 185. On sale around Valley Parade today. Jason, many thanks for this glowing review of CG185. I am really pleased that you enjoyed reading it as well as appreciating the fact that we have produced CG185 in full colour for the first time in the magazine’s history. The cost of production, plus the extra 8 pages in order to fit all the articles in, is double the normal cost, and despite this, I have kept he cover price at £2. This will mean that even if CG185 sells out, which I hope that it will, we will still make a small loss. But the articles and photos were just too good to have them in black and white and having them in colour they really make the magazine stand out. Hopefully after today when more City fans other than the subscribers who received their copies in the post, will come on and comment on CG185. I would have liked to have been brave enough to charge £3 for it, but I felt without prior warning it wouldn’t be fair. Plus, CG184 did sell extremely well, we have fewer than 25 copies remaining, which means any profit made from that issue, should subsidise the loss we’ll make on this one. Just thinking, I may get another as well. Received your order for 2 copies which are being posted out to you today.